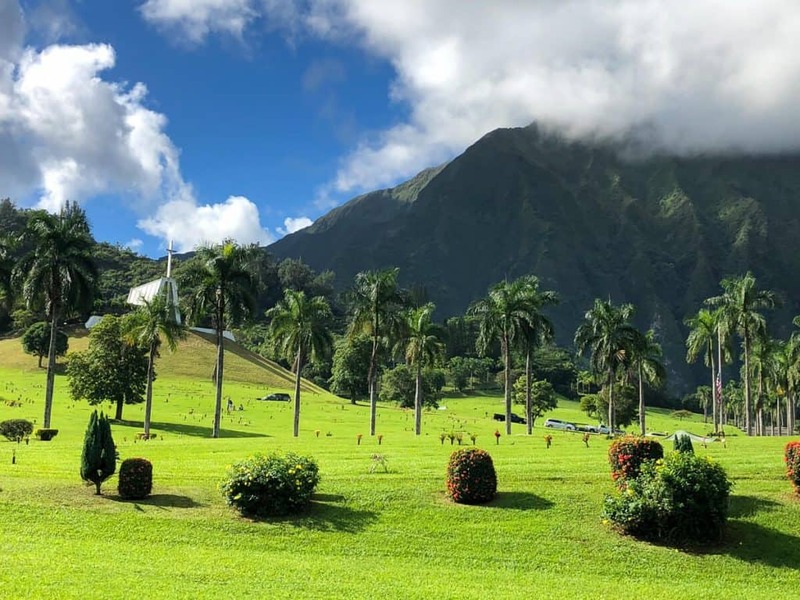 Looking for the best things to do on the North Shore of Oahu in just 24 hours or the best North Shore hotel to stay at? 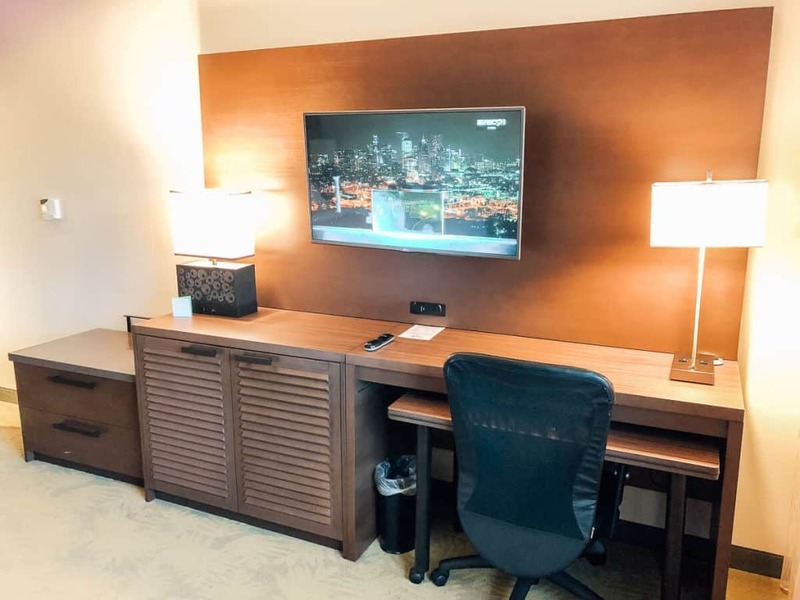 Here is a glimpse at our one-day, kid-free escape and a Courtyard by Marriott Oahu North Shore review to help you plan! A trip to Oahu would not be complete without visiting the North Shore. Even though we had never been to Hawaii before, that is something even we knew about! 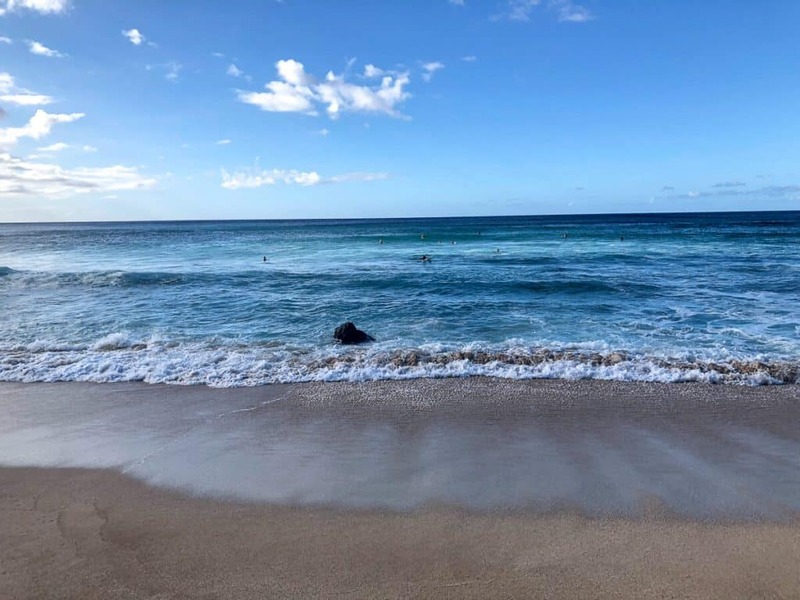 When we began planning our trip, we considered spending a few days on the North Shore as a family, but as our vacation itinerary started to take shape, we realized that there were a lot of different things we want to do around Waikiki and at Aulani as well. Rather than scrap the plan, we decided to make it a kid-free vacation (on vacation) and do the best of the North Shore in 24 hours! Thanks to my parents coming on the trip with us and them generously offering to keep the girls overnight, we were left with 24 glorious hours to ourselves. With so many choices of things to do on the North Shore, we obviously had to be quite choosy! 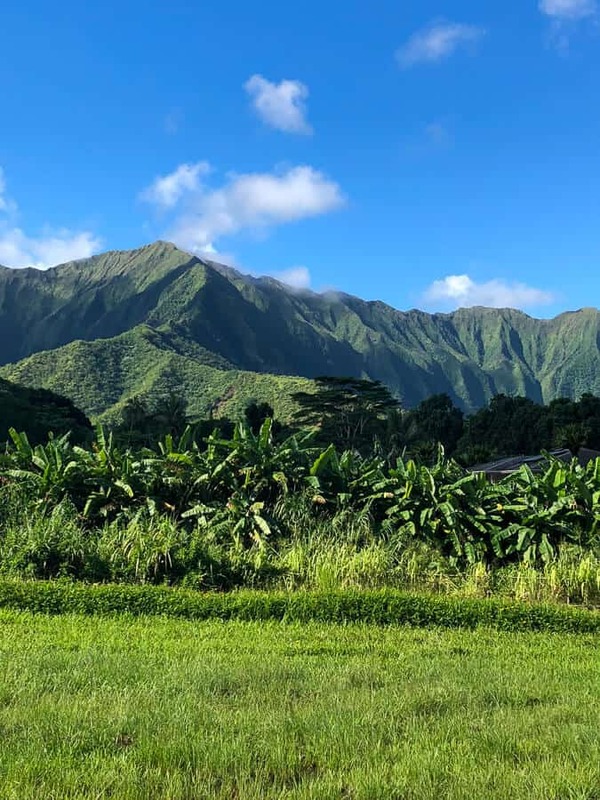 We brought along our Go Oahu Card in case we decided to visit included spots or do a planned activity, but we actually ended up just enjoying the drive and taking in the scenery! 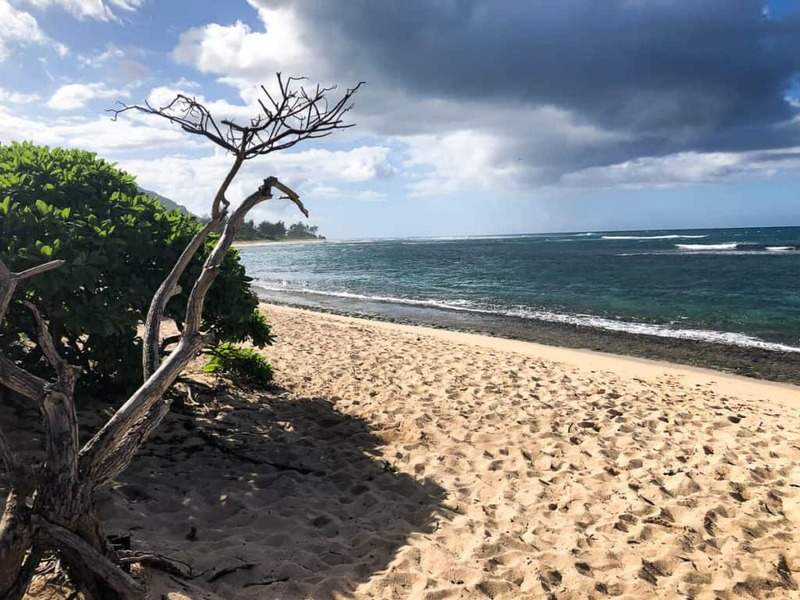 Here is a look at our 24 hours on the North Shore, including hitting up some of the LOST filming locations (a must do for my show-obsessed husband)! We had been staying at the Hilton Hawaiian Village in Waikiki and checked out around 9:30 am. My parents had a condo a few blocks away, and after dropping the girls off with them, our 24 hours on the clock started running. 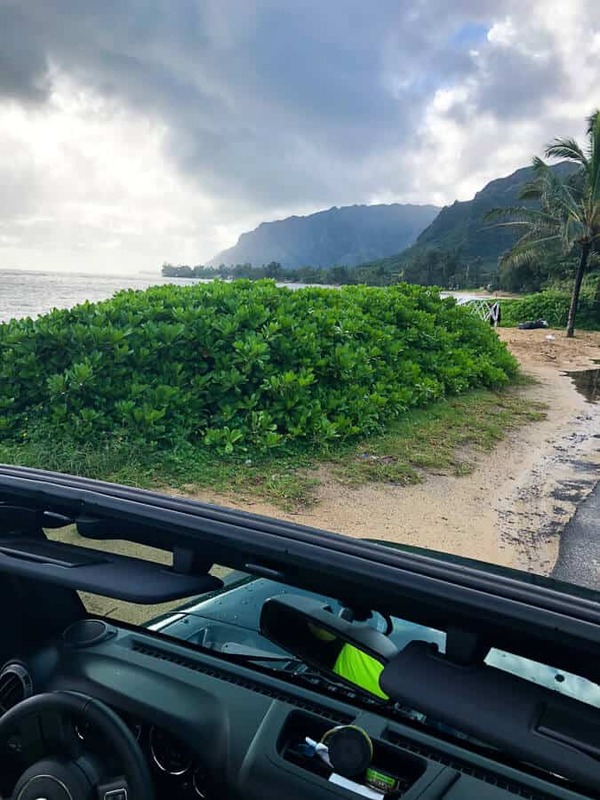 Renting a Jeep is a must for driving around Oahu, so we exchanged our minivan rental for one and hit the road. 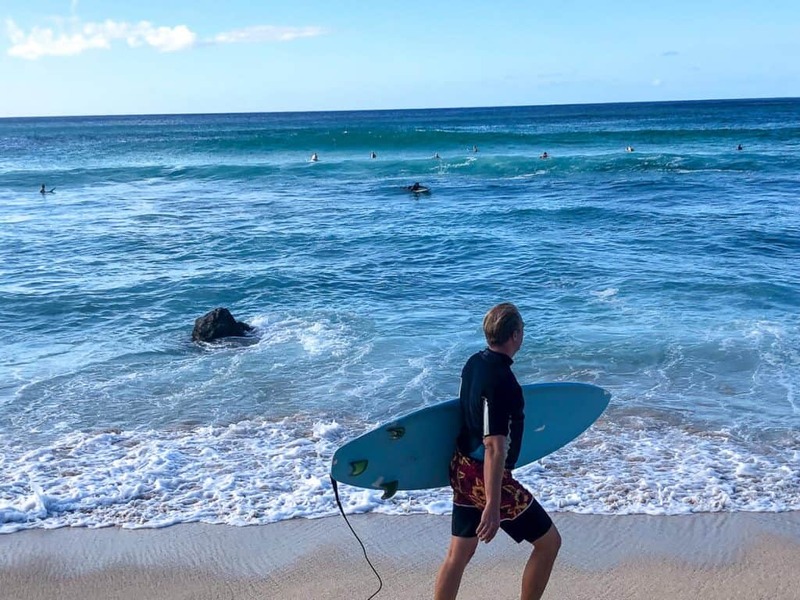 Our plan was to hit a few of the LOST beaches and filming spots, check out Pipeline, and make it to the hotel on the North Shore in the evening in time to check out the Polynesian Cultural Center. As you can see from the map below, we saw A LOT of the North Shore, and did a complete loop back to Honolulu. Oahu is the scenic home to many movies and tv shows, so it is easy to find gorgeous beaches that are recognizable. Our first stop was Mokule’ia Beach—the site of the LOST Oceanic 815 plane crash—where we saw sea turtles right in the surf! 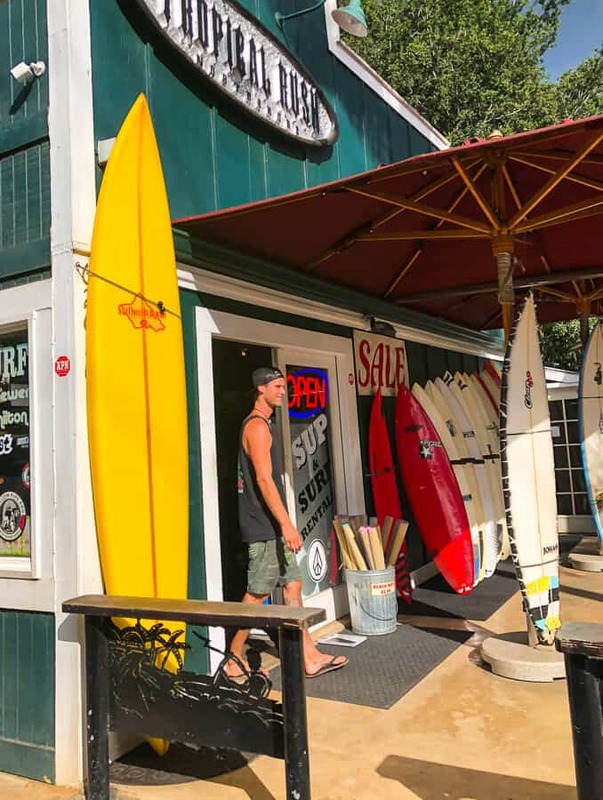 From there we headed through the cute surf town of Haleiwa to another LOST beach location—Papailoa Road—which was beautiful and almost completely empty since we were there in November. 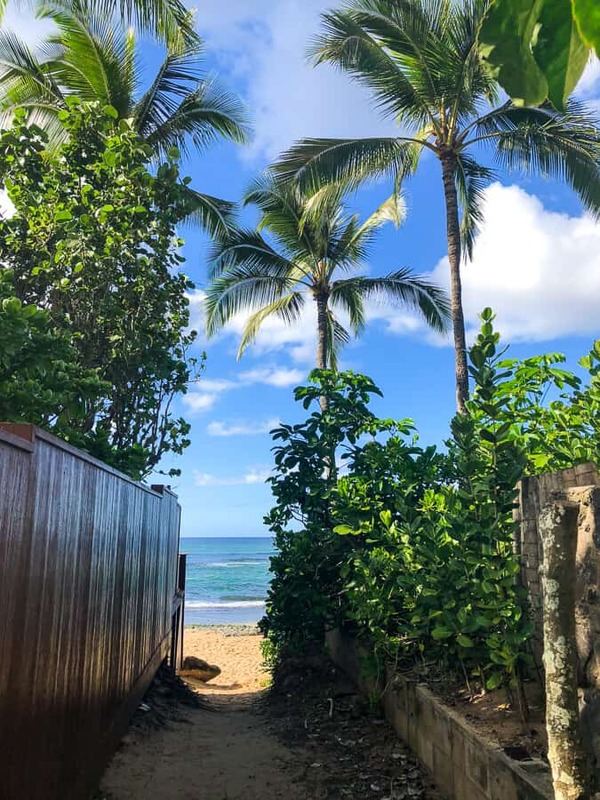 I love how all beaches in Hawaii are public beaches, both because of the access and also because everywhere you look are these tiny alleyways that lead to expansive beaches—it is like every beach is a hidden gem waiting to be discovered! Then we drove to Waimea Valley (the first photo above, which housed the waterfall scene) but decided not to go into the park and just kept driving. Waimea Valley would be a great place to hike if looking to do that! 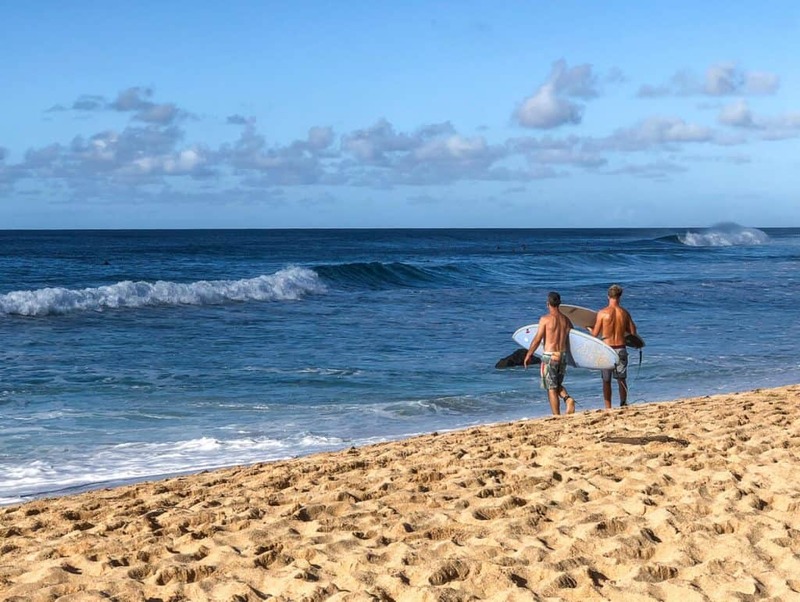 A trip to the North Shore is not complete without a visit to Banzai Pipeline to watch the surfers. 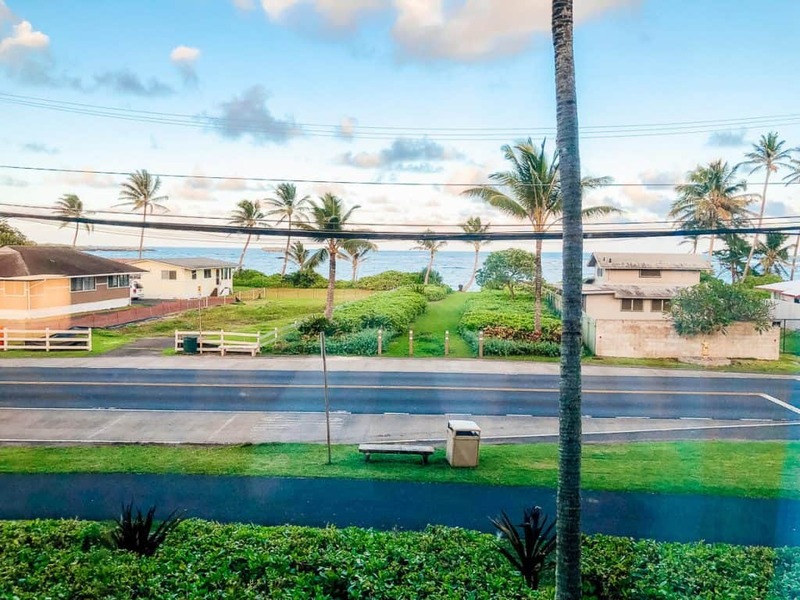 We spent quite a while just watching them on the waves and trying to guess which pro surfers owned the homes that lined the beach. 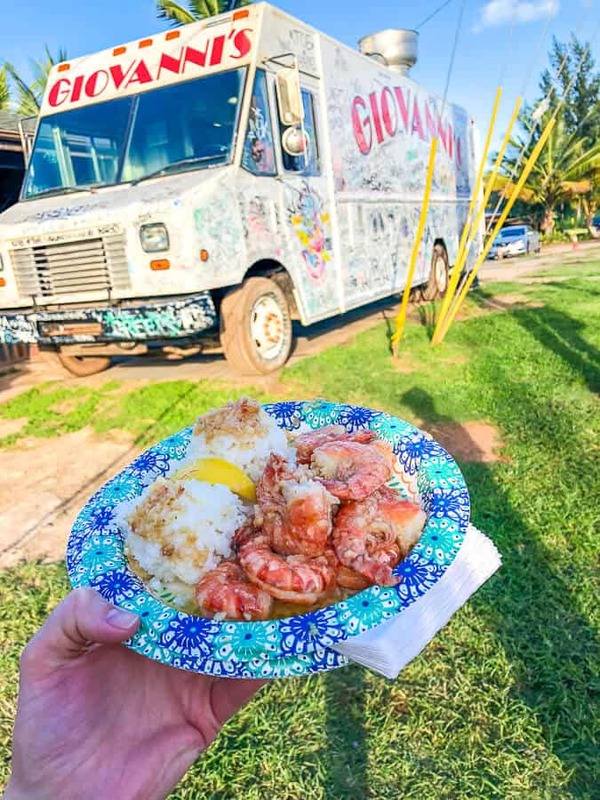 The other thing a visit is not complete without—according to online reviews—was trying the shrimp trucks. And they definitely did not disappoint! We stopped at the Kahuku truck which was set up in a roadside lot with other pop-ups stands and shops. 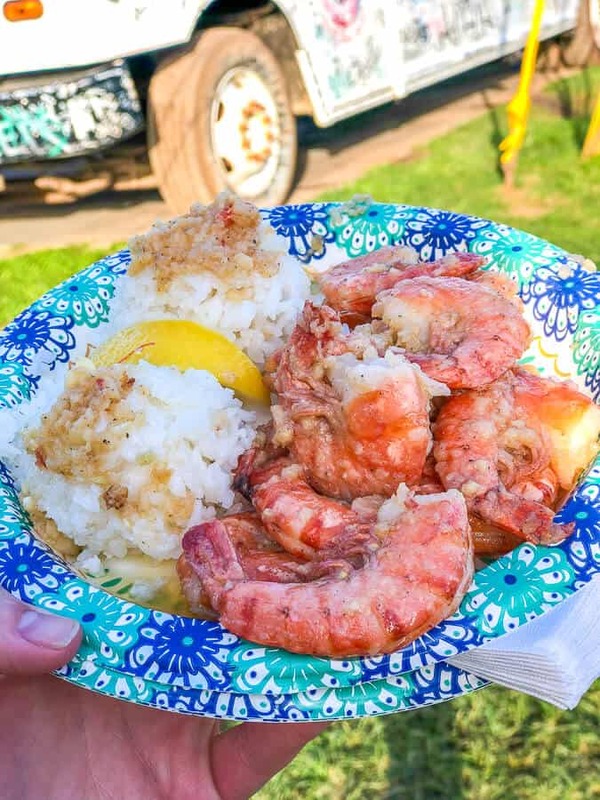 The shrimp scampi plate was delicious and included a dozen jumbo shrimp and two scoops of rice with garlic lemon butter and caramelized garlic. The plate was pricey at $14, but is comparative to other Hawaiian meals as everything is more expensive there. 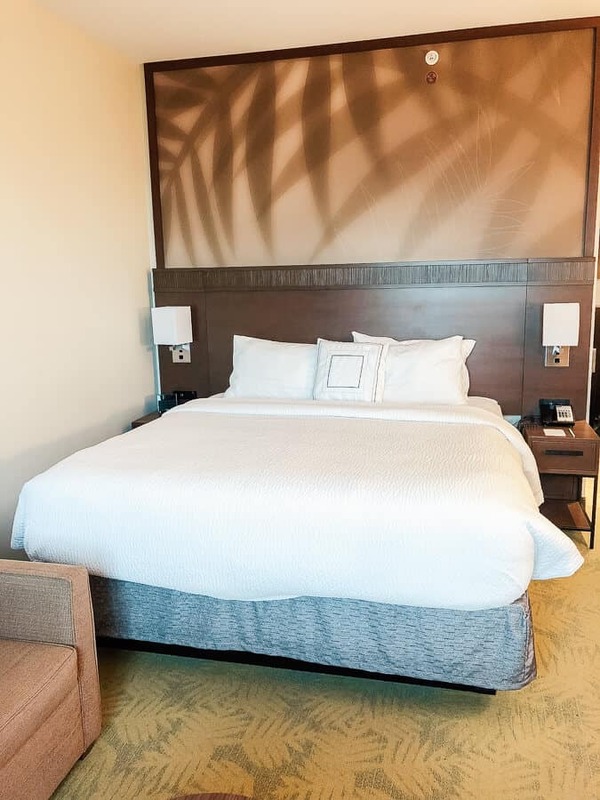 After being sufficiently stuffed, we headed to our hotel for the night—the Courtyard by Marriott Oahu North Shore in Laie. 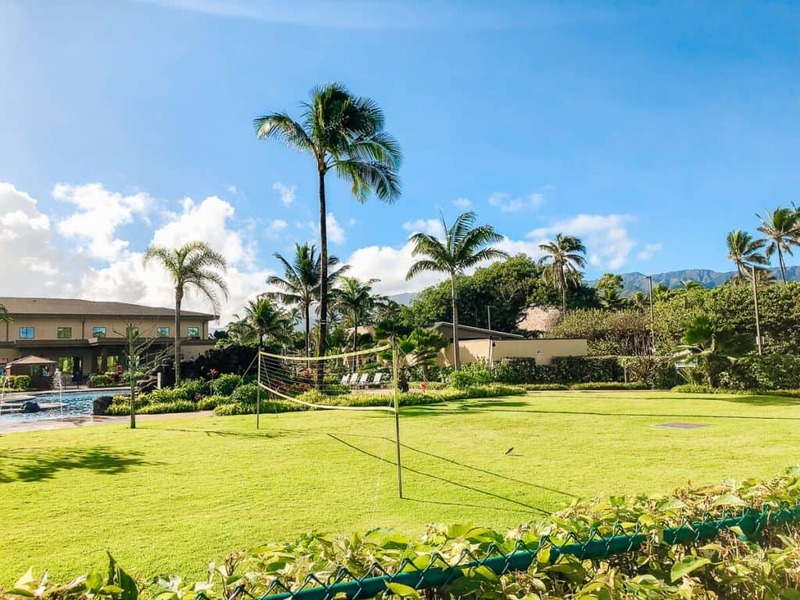 While there are quite a few North Shore lodging options, the Courtyard Oahu North Shore hotel is ideally located and a great value. If you are doing the Waikiki to North Shore loop in 24 hours as we did, it is almost exactly halfway—making it the perfect spot to stay overnight. 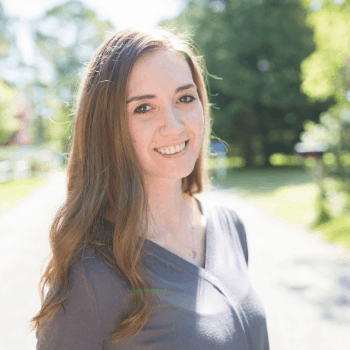 Having never been to Oahu before, we relied heavily on maps to figure out where to go and where to book a hotel on the North Shore. 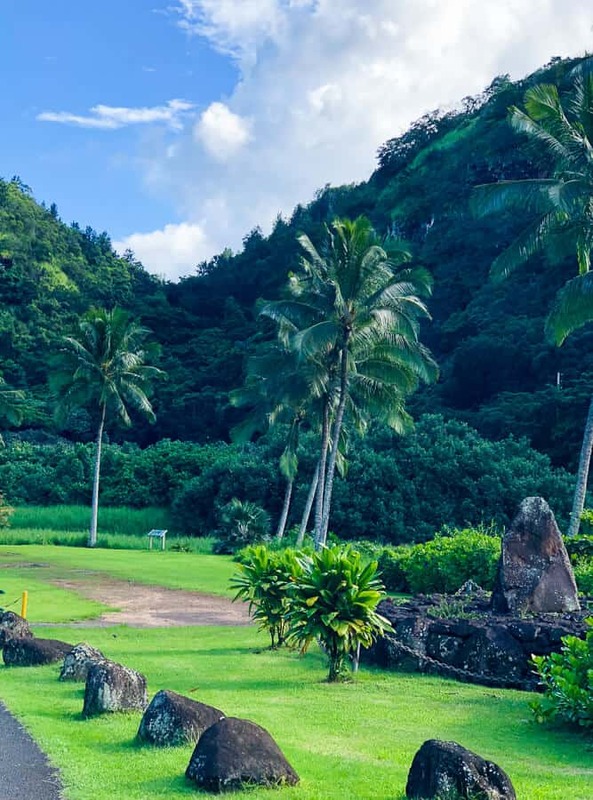 The Courtyard seemed convienent—it was exactly on the main route around the island (Kamehameha Highway) and close to the water and to the Polynesian Cultural Center. We were not prepared, however, for just how close it was to both! Upon arrival, we were pleasantly surprised to be staring at the ocean as we pulled into the parking lot, which also happened to be on the property directly next to the Polynesian Cultural Center. Accessing either was as easy as a quick walk across the street or parking lot! 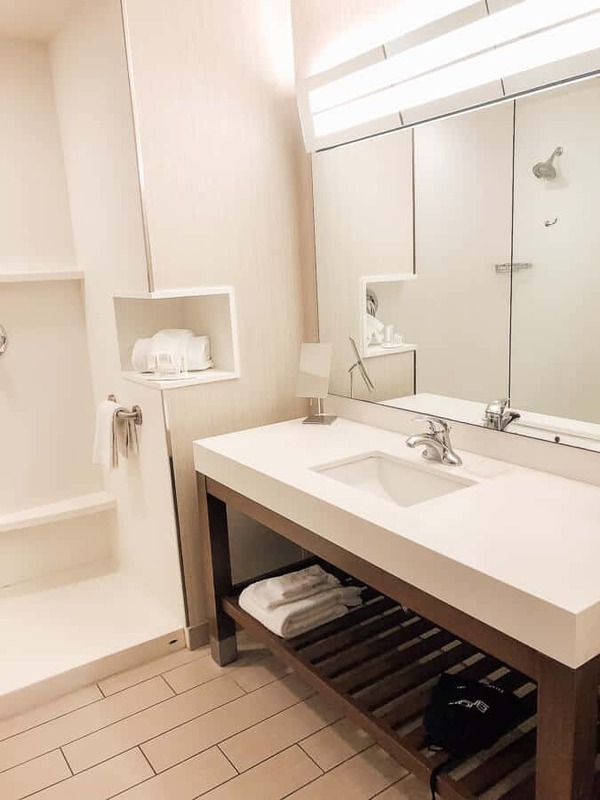 I have always loved staying at Courtyard by Marriott hotels—they offer updated decor and are well-appointed, but also are typically priced extremely well even in expensive areas. Compared to the rates of other North Shore Hotels, the Courtyard was an easy choice for us. And it once again proved just how wonderful Marriott properties are. At check-in, we received a complimentary upgrade to a King Oceanview room when the attendant learned it was just my husband and I staying (and no, it wasn’t blog related either). The view was amazing and you could literally hear the ocean. 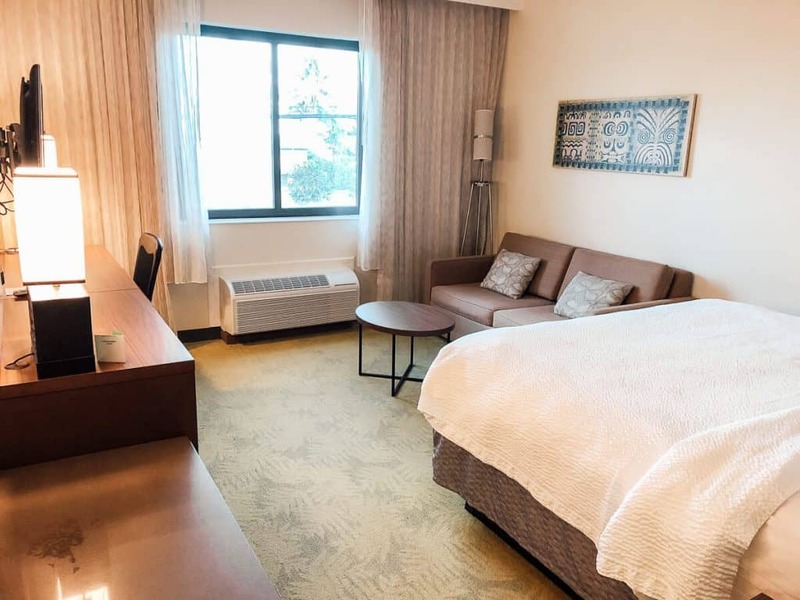 The room was spacious and updated, with subtle Hawaiian Style in the art and textiles. The bed was extremely comfortable (Marriott beds are just the best!) and I loved how it was facing the ocean. I don’t know what was better—getting my first full night’s sleep in months (thanks to being pregnant and then having a newborn to care for) or waking up to the water. Ok, probably the sleep but I’ll take that view any day! 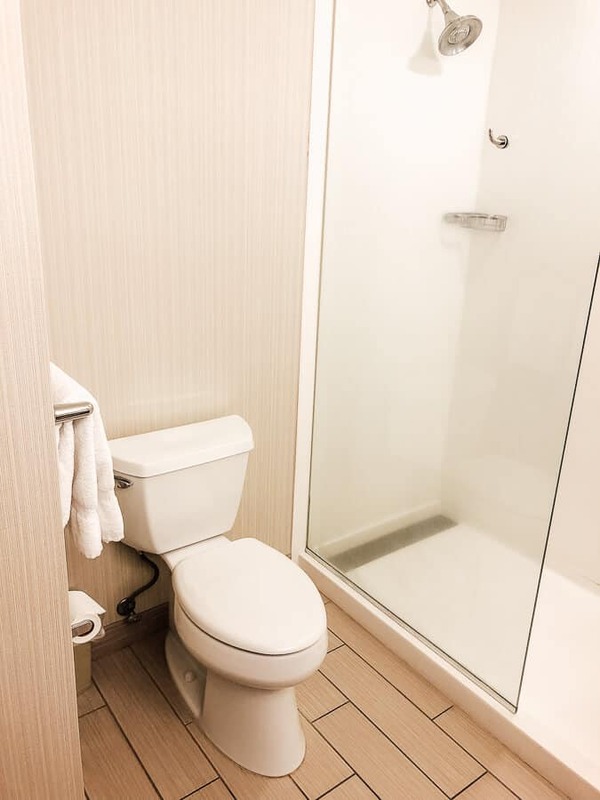 The bathroom was spacious and stylish on it’s own, with a large walk-in shower and bright, clean lines. I love how the wood accents throughout the rooms added a touch of warmth making the entire place feel so cozy. 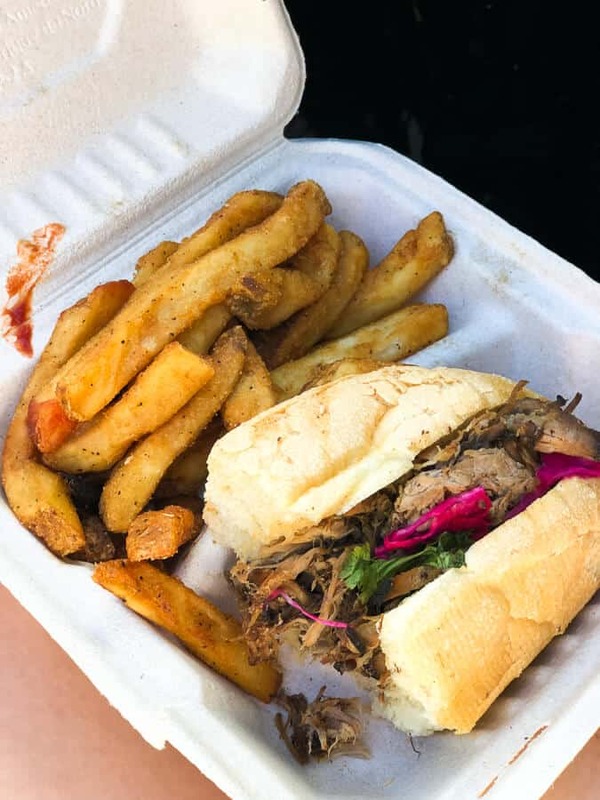 We headed over to the Polynesian Cultural Center and had dinner at Pounders Restuarant in the Hukilau Marketplace—I had the Kalua Pork Sandwich which was incredible and the portion was so large I was able to save half of it for lunch the next day. Tip for visiting the Marketplace/Polynesian Cultural Center: Even though the Cultural Center may say it is open until 9pm, it definitely was not. The exhibits shut down after the Evening Luau gets started (7pm), though many of the shops stay open. We had decided to eat first and then walk around the Center—looking back I would do it in reverse. We saw that most of the stands were closed/closing so we ate quickly so that we could walk around a bit. After going through the marketplace, we found ourselves in a very dark and rather eerie/completely empty area of closed exhibits. We peeked in some windows and then headed back to the shops, half afraid they might close the gates with us in there! We hit up the pool after returning to the Courtyard, which had a waterfall and a good sized jacuzzi that was very relaxing. 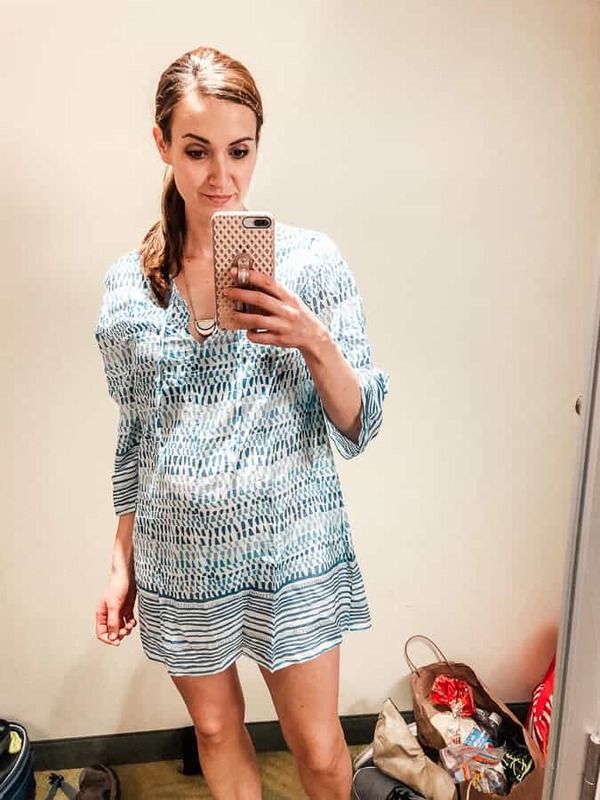 I was enjoying our date night away so much I didn’t even grab a picture from dinner—just a mirror selfie before heading to the pool! The pool also has a shallow kid’s area and a large lawn set up for volleyball—perfect for families! 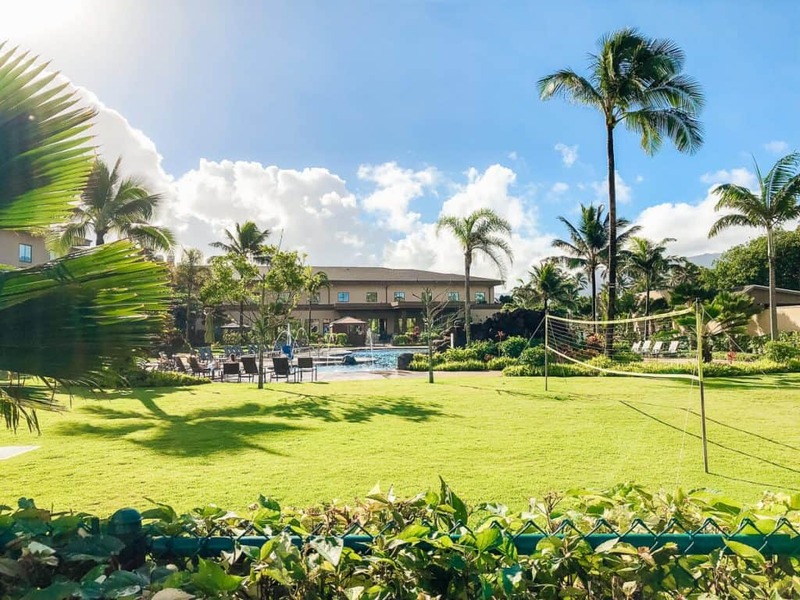 We enjoyed our time at the Courtyard Oahu North Shore so much—it was hard to leave the next morning. I grabbed a Starbucks from the bistro downstairs before heading out rather early, but would have loved to have stayed longer to try out all of the activities you can arrange right at the hotel, like stand-up paddle boards, kayaking, and getting a moped to explore all around! 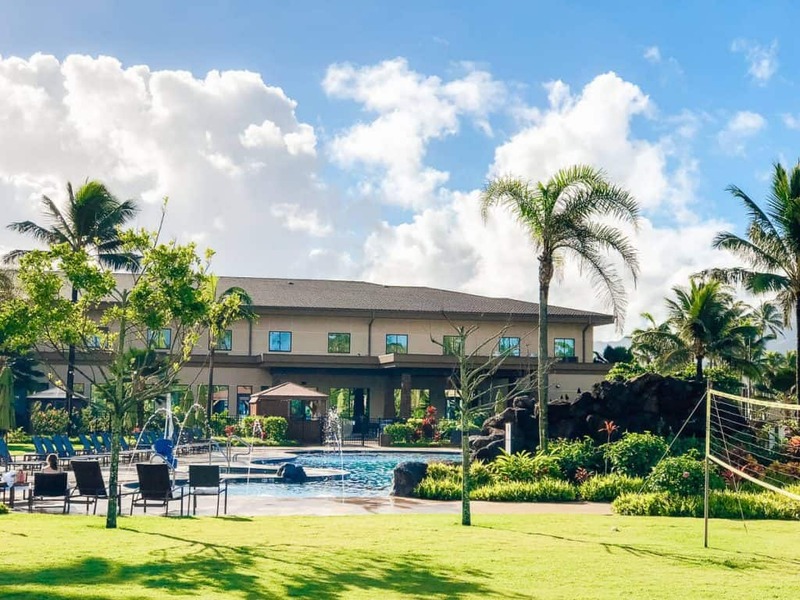 Overall, I would definitely recommend the Courtyard to anyone looking for a hotel on the North Shore—it has everything you need to enjoy your time and is a great value! If I thought the drive up from Waikiki was pretty, the drive back blew it out of the water. The Kamehameha Highway lines the coast and is in the shadows of the most amazing and lush mountain ranges. This was the Hawaii I had been eager to see, and it was even more breathtaking in person. The Jeep was perfect for taking it all in as well—even through a few quick and unexpected showers. This is absolutely the side of the island you want to go to if you are looking for the looming green mountains you see in pictures. 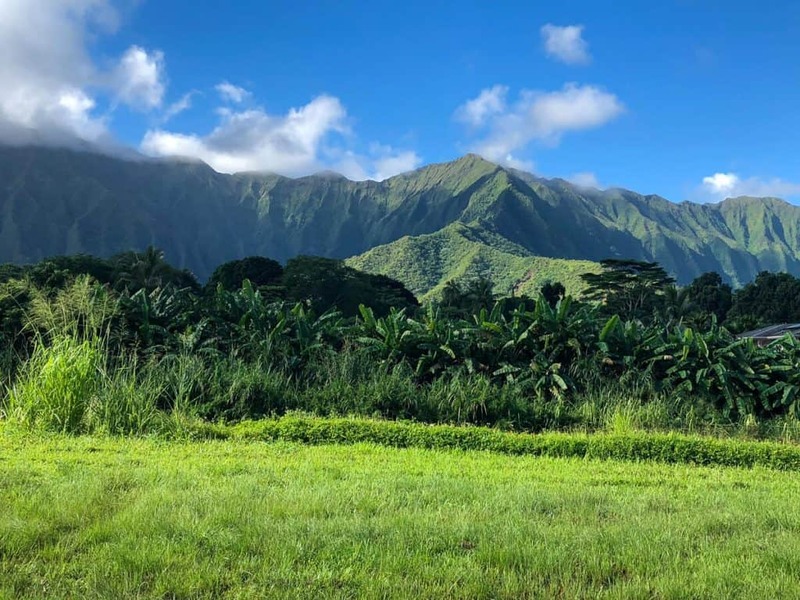 Though we did the drive straight—only stopping for a few pictures because we needed to get back—I would have liked to have stayed longer and explored in the Jeep, or maybe do an overland or catamaran tour at Kualoa Ranch where Jurassic Park was filmed. We continued down to He’eia State Park before catching the H3 back to the airport to return our rental. 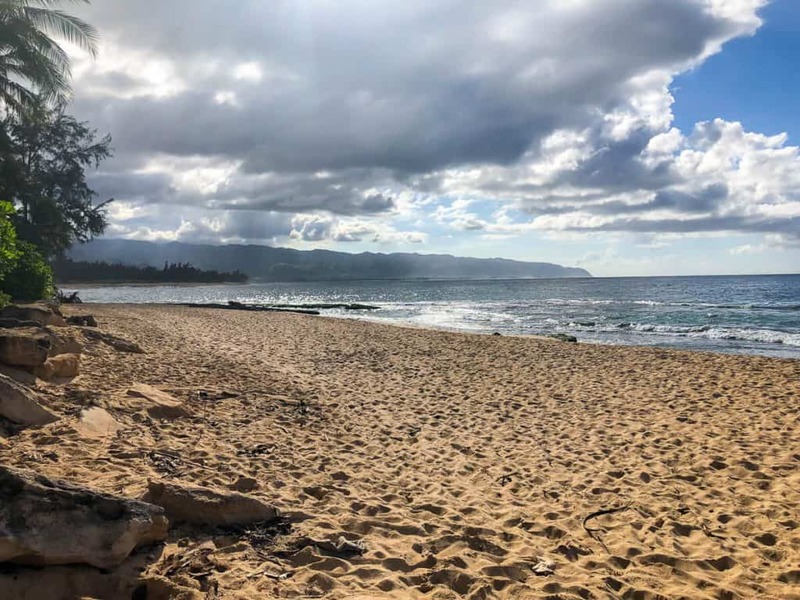 With so many fun things to do on the North Shore, it was hard to narrow it down but I am so glad we did a little tour of some of the best beaches and tried the food. Getting to take a date night away while on vacation was exactly what we needed. Not only was it our first date in months due to having just had a baby 3 months ago, but it was also our first time away for a night from Charlie. She did really well and I think we all needed the break at that point in our vacation anyways—the first part had its share of meltdowns and tantrums, and this helped us reset before heading to Aulani for the remainder of the vacation (where we also found another amazing hidden beach). 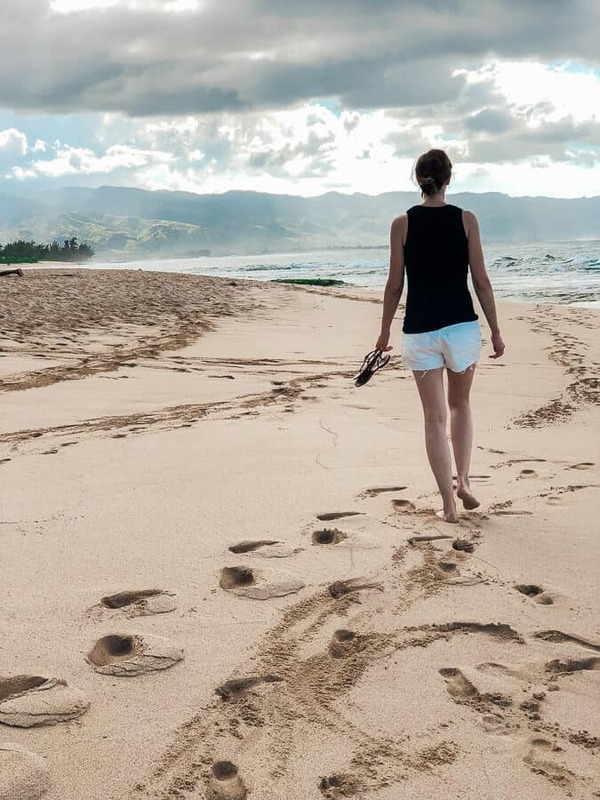 There is plenty that can be done with kids on the North Shore, but if you get the chance to grab a kid-free night or day away, I highly recommend it! It is the perfect adventure date! 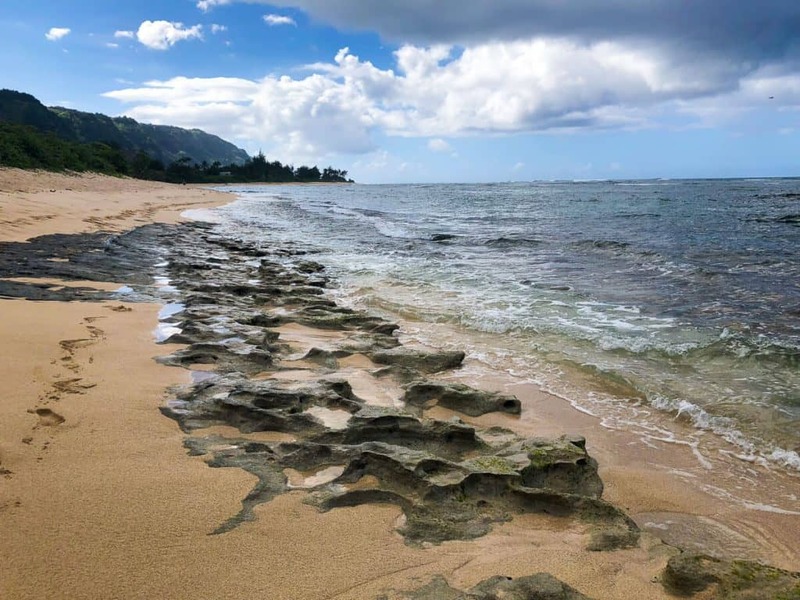 Have you been to the North Shore of Oahu? What were your favorite spots or activities? Share them below to help me build my bucket list for next time!